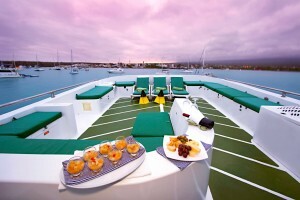 Built in 1997 and remodelled in 2004, the Daphne features a restaurant and bar, a small library, TV/VCR room, solarium, spacious sundeck, and full air-conditioning. In addition to the seven standard twin rooms, there is now a deluxe queen suite with a personal TV. All rooms feature private bathrooms with hot and cold water, and air conditioning. 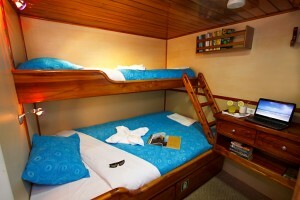 The Daphne Yatch has a double suite and seven double cabins with twin/bunk beds. 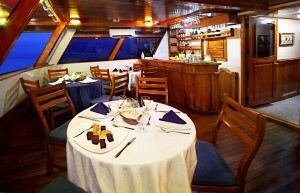 They are equiped with private bathroom with hot water showers.